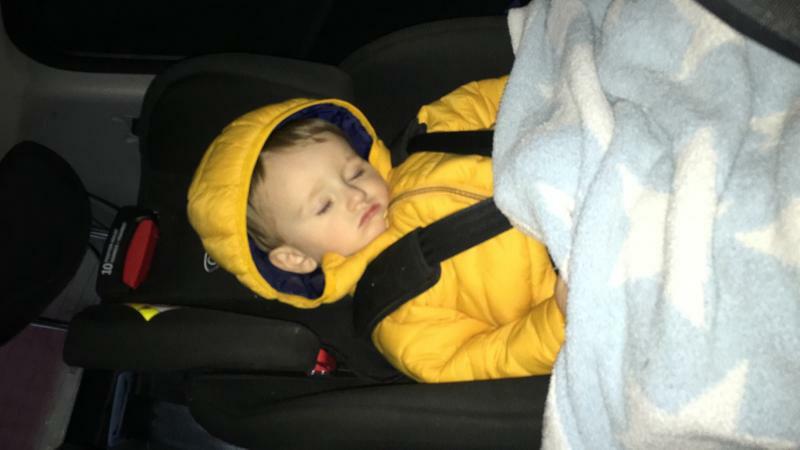 My son loves this car seat, we didn't use it from birth although it states it's from birth onwards and it is both forward facing and rear facing it doesn't really recline so we used it from 6months and years later we are still using it, so although its abit pricey it is well worth the money overall. It's both safe and sturdy, it also looks to be very comfortable. My son loves the added feature of the cup holders. It's easy to adjust and grows with your child. I also found it easy to take apart and clean which was great for my messy boy. I highly recommend this product. Overall a brilliant product, very safe and secure, it’s a little bit tricky to fit in the car but with help from shop assistant to show me how to do it, it was then easy to use. This is a great chair (we have another to compare!) that we bought when my son turned 1. He is now 3.5 and we have used it rear facing and now forward and found both ways easy to put him in. The covers and washable and it has stayed looking new after over two years. Only downside is my son’s head often falls forward when he sleeps but this may not be the chairs fault! I would recommend this chair as it’s a good price for a long lasting chair. I got this car seat in a closing down sale so was very good price. I have used it rear and forward facing and seems very comfortable and spacious. Love that it is suitable for all age groups so you only need the one seat. My only negative is that it is quite fiddly and a bit of a pain to put in and take out of car so not good if you change cars a lot. It would be good if it was isofix compatible as well that would fix that problem. Apart from that I love it. There are no weaknesses with this product. Overall this car seat is brilliant easy to wash, adjust an fit in your car, would recommend this product to every parent I know. The graco milestone car seat is a brilliant little car seat. 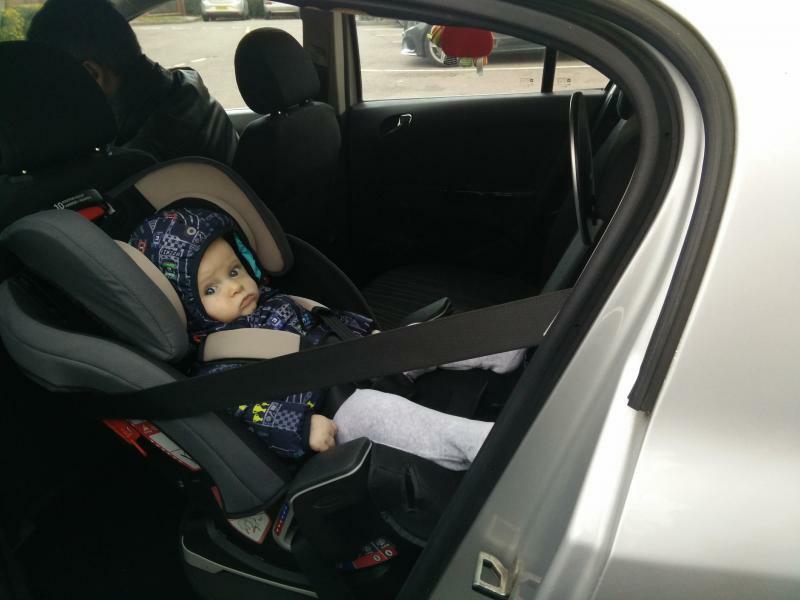 The seat goes from birth right up to a booster for an older child which means it well worth the price and will last. It is nice and wide and has well padded straps making it perfect for bigger children and babies chunky thighs. The Graco milestone has a very cushioned and adjustable headrest which is fantastic if your little one has a tendency to nod off. The is very sturdy and has a chunky base. Whilst this makes it heavy if moving often, it is great for enabling the child to look out the window meaning a more enjoyable (quieter?!) ride for parent and child alike! (Note: If moving the seat often whilst it may be heavy it is a breeze to install) Neutral design and tough fabric along with a convenient cup holder (perfect for popping snacks or drinks into) make this a smart and functional seat. Overall well worth the money. We bought 2 of these for our boys and found them perfect for them can be a bit of a pain to get the seatbelt through a plug and the recline isn't that great but other than that they are fantastic car seats! We have bought this car seat over a year ago at discounted price so we got bargain! It’s great seat for all the stages and versatile. The cup holder is a bonus! Easy to fit in the car. The only downside is that when your child falls asleep you need to have a small neck cushion for them to support their head because otherwise their head hangs forward and when you’re driving you can’t keep stopping every few yards to tilt their head back. Overall I do recommend this car seat and I’m happy with the purchase. Grows with your child, practical cup holder, easy 3-point harness system. Might seem Bulky for smaller cars. We love this car seat. We have used it for almost 4 years with our eldest child who will soon be using it as a bumper seat. We love that it’s grown with her and saved us having to buy yet another car seat. She loves having her own cup holder and it’s proven very practical. The harness is easy to use and the chair has an easy recline feature. Our child has always slept well on long car journeys and rarely has the head bobbing issue as the sides of the head rest are well positioned. Overall a great investment. This seat easily transforms from one size to the other and is easy to fit and move between cars. The seatbelt gets in your way when using the rear facing mode, which can be difficult with a newborn. I would say rear facing mode is okay but not as easy as an infant carrier. This seat is better used as forward facing to then grow with baby. I've purchased this car seat when my son overgrew his 0+ car seat. Since the beginning, it was clear this was a great car seat. It secures in place very easily and can be used both rear and forward facing, with a different variety of back height and tilt settings. 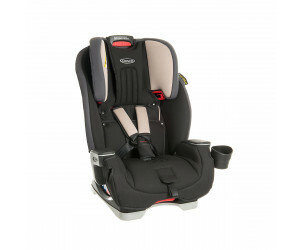 It also comes with a lot of different inserts divided by age stage, and the position indications on the car seat make it very easy to know when to change setting. My son is only 3 so I didn't have the change to try the more advanced and "grown up" settings, but, so far, it has been brilliant. At this point the only fault would be that it's quite a bit difficult to clean without removing it from the car and shaking it upside down for a bit. My son often eats crumbly snacks in the car, and they all end up in the crevices of the car seat. Nothing that a good shake can take out! I’m overall very pleased with this seat. We bought it so that it could last the lifetime of our first child. I’m newborn setting the baby was at a good angle and not too squashed or folded up. The only minor downside was that the way it’s designed means the seatbelt is higher than than the side so you have to lift baby in and out over the seatbelt. Not too problematic but a nuisance. My LO is now 2 and seems comfy and happy in the seat. We’ve added the cup holder on so she likes having this. Another slight negative is that I recently took all the upholstery off to wash thoroughly and it turned out the polystyrene insert in the headrest had come unglued from the plastic side. We had to buy special glue that doesn’t melt polystyrene but it’s now back on securely. Perfect from newborn and up. You only have you buy the one seat. I have used this seat both for my newborn and my 4 year old and it's perfect or both ages. It's easy enough to convert from baby seat to booster seat and both of my children seemed comfortable in it. It was perfect for my 7lb 6oz newborn and was flat enough that his chin did not touch his chest and his head did not move around too much which I have found is a common fault of some infant seats. Its wonderfully padded and my 4 year old loves the fact it has a cup holder. 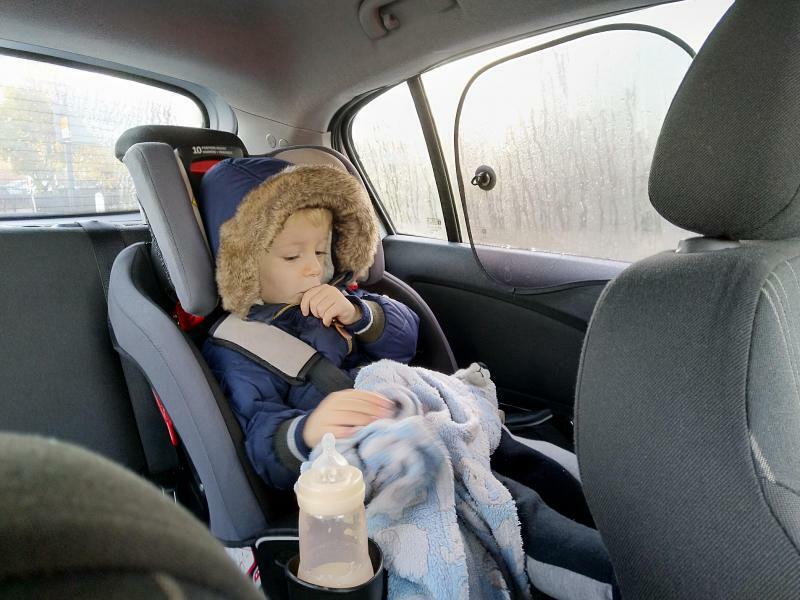 The only downside I would say is that I would love if it had an isofix feature especially when rear facing as its a bit of a nuisance having to lift baby over the seat belt fixing when getting him in and out of the seat. Easy to install, 5 point harness keeps child safe and comfortable. The one car seat little one enjoys using. So easy to extend as they grow. This seat is great both RF and FF. it’s a secure seat and can be easily dismantled to wash (fabric). The only downfall I’d say is that the straps seems to get twitsted easily, the seat itself is heavy and can be a pain getting in and out. However overall the seat is great from newborn onwards. This car seat is very easy to install and make our long trips much more comfortable for my 4 years old. We have another car seat before and she always complain a lot during the trips, since we got this car seat for her, just more than a year ago, she is always happy while in the car and she normally manages to sleep through the long journeys. Love the milestone, used it since birth with my first child. She's now 2.5 and still uses it. My daughter never complains and always looks comfortable. I put a weakness as abit fiddly to put in, only reason for this is because my second child I have a isofix base car seat so that makes the milestone a little bit fiddly to put it. It still isn't hard to put in, if I hadn't got a isofix with my second child I'd comment saying it is easy to put in!! It's easy to take the covers off and wash, I stick it in the washing machine and put them on the line to dry. Lasts through out the years, as it got a lot of different stages and fits any child. At stage 4, is too upright and when child is sleeping head tends to fall facing down. Lovely car seat , easy to clean as can dismantle it easy enough the only downfall is how uptight it is at stage 4 when my daughter falls asleep her head keeps falling facing down which does not look comfortable and I need to keep fixing it or pulling the car seat back to stage 3. This Graco Milestone All-In-One is a Group 0+/1/2/3) Car Seat in Aluminium and will keep your little one safe from birth to 12 years. 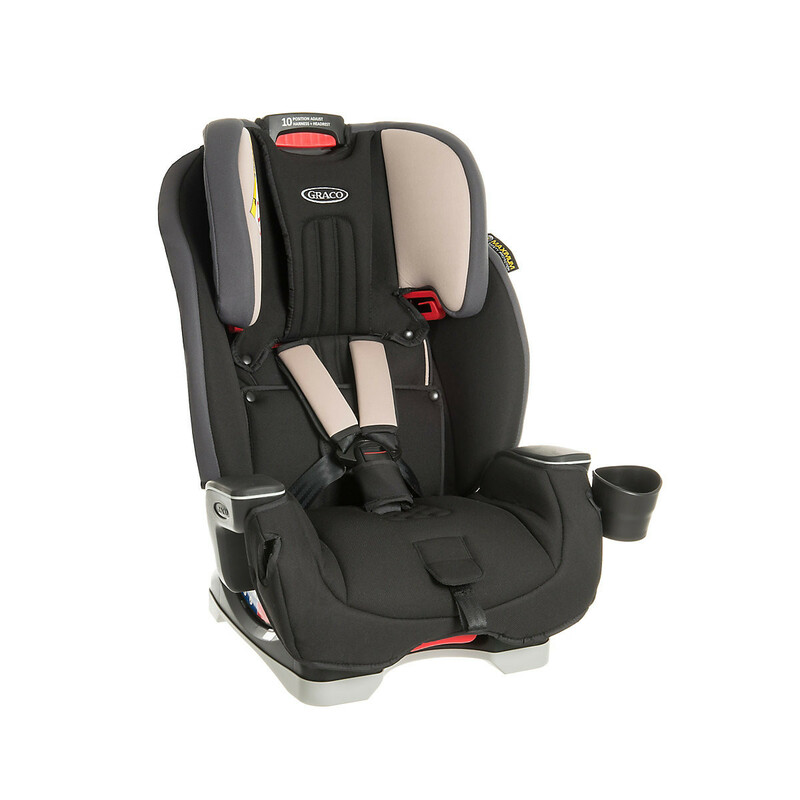 When used from birth it is positioned in a rear facing position and then can then be used as a forward facing car seat or highback booster seat as your child grows.